I'm in the cafeteria of the Clara Shortridge-Foltz Criminal Justice Center. A long-time girlfriend has come to court today to sit in on the hearing. Like some people might be, she's curious as to how Gargiulo looks, since he's been in custody for over five years. After court, we'll take in a film at the ArcLight. When I re-entered the deserted lobby I was pleasantly surprised to see a long-time fellow colleague clearing security. I had not seen them in over two years. We had a great time catching up on cases in the elevator to the 9th floor. After clearing 9th floor security, I see Gargiulo's two private investigators, Christian Filipiak and Chris Nicely. Filipiak is the investigator on the guilt phase of the case. Nicely is Gargiulo's investigator on the penalty phase. Filipiak is friendly and engaging. Nicely doesn't speak. When I see DDA Daniel Akemon, DDA Garret Dameron and LASD Detective Mark Lillienfeld coming down the hallway, my girlfriend and I follow them inside Dept. 108. We take a seat in the second row. DDA's Akemon and Dameron are chatting with Filipiak. They brought two brown file boxes with them. This is either discovery or something else. Judge Ohta comes out from the back area but he's not in his robes. I point him out to my friend. Lillienfeld takes a seat in the well in front of the jury box. In the gallery behind me are two women. They are either reporters or clerks for either side. Now the DDA's and Filipiak are going over several large, brown envelopes. I'm guessing these are SDT's otherwise known as subpoena duces tecum. Counsel can issue a subpoena to a person but a SDT is a subpoena for documents. When documents are subpoenaed, they are delivered to the court. They are not opened unless the opposing side agrees the requesting side can see the information. Judge Ohta is currently in trial, and the counsel involved in that case start arriving and setting up their equipment and files. The parties in the Gargiulo case are still going over the subpoenaed documents. More deputies start entering Dept. 108. The bailiff from Dept. 107 and an attractive, black female deputy I've seen many times before. Judge Ohta's pretty court reporter comes out and starts to set up her equipment. The bailiff sets up the chair for Gargiulo to sit in. Since he has two investigators sitting with him, he places the chair without wheels at the end of the table. This means those of us in the gallery will be able to see Gargiulo face on, instead of from he back. A bit later, Judge Ohta, has taken the bench asks DDA Dameron, "Who's taken over Brazil's spot?" I miss hearing the name that Dameron answers. "Brazil" former DDA Deborah Brazil, who was sworn in as a judge on December 11th. At some point, Filipiak asks Judge Ohta if he can have a few minutes with his client before the proceeding starts. We are waiting for Gargiulo to come out. She asks me if he will be handcuffed. I tell her he will be handcuffed and he will have a waist chain on. I point out the door to my friend to watch where Gargiulo will be brought into the courtroom. He's finally brought inside the courtroom, and I'm surprised. He looks even more gaunt and pasty than the last time I've seen him. He doesn't look anything like the photo at the top that was probably taken when he was arrested. Gargiulo has completely shaved off his dramatic mustache. He has grown a goatee on his chin that's about two inches wide and three inches long. The goatee is mostly black but there are very noticeable gray hairs on one side. He's also not wearing the black, horn-rimmed glasses. Without the glasses to break up his face, it appears longer, thinner. On the record in the Gargiulo matter. The DDA's state their names for the record. Judge Ohta states that Gargiulo is present and requests that his investigators state their names. Judge Ohta stats off by stating there have been court appearances for the exchange of regular discovery. There is a document from the people stating this is the 13th set of discovery turned over. Judge Ohta asks the defendant, "Mr. Gargiulo, you have (discovery?) about that?" "Yes, your honor," Gargiulo replies. Judge Ohta asks DDA Akemon if all the discovery has been turned over to the defendant. "Not yet. ... expecting a report in the next couple of weeks. ... that's the bulk ... still some odds and ends." Judge Ohta responds, "That's the nature of the process." Then Judge Ohta asks the defendant, "What would you like to do Mr. Gargiulo?" Gargiulo submits a new date, March 7th, for a return to court. That date works for the DA. Judge Ohta asks the defendant, Mr. Gargiulo, you want that at zero of 90? "Yes, your honor," he replies. 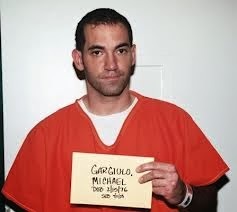 Gargiulo has stated in prior hearings that Fridays are preferable for him. The reason is unknown. Judge Ohta asks the parties if there is anything else that needs to be addressed. The other documents are Gargiulo's medical records. That's what the two brown files boxes are. DDA Akemon is requesting to open the visitation records. The DA's office doesn't need to open the medical records at this time. The DA's office would simply like to lodge them with the court. Judge Ohta replies, "Thank you for increasing the amount of boxes in this trial." Judge Ohta then asks the defendant, "Mr. Gargiulo, were you aware that the prosecution issued a motion to quash?" "Yes, I got it yesterday. ... and because of the phone issues ... What I plan on doing is withdrawing the subpoena and agree with the DA, .... if (they?) are willing to hand over (the claimed? ?) discovery. ... I don't wish to make it difficult." Judge Ohta tells Gargiulo, "You don't have to cede to the DA. It's your decision." Gargiulo says something to the effect that the DA has been very open and helpful in making documents available. He gets along with him. My notes are not clear, but I believe it's Gargiulo who adds, "Thing is, I have nothing to hide." Smiling, Judge Ohta addresses DDA Akemon, "He's saying you're a nice guy." DDA Akemon tells the court that they are not willing to hand over the documents in the specific El Monte PD subpoenas. Gargiulo plan now is to issue an informal SDT request. DDA Akemon states they plan to litigate. Judge Ohta asks Gargiulo if he understands. Gargiulo states he does. Judge Ohta then states for the record that Gargiulo is going to withdraw those specific SDT's at this time. DDA Akemon states that they are requesting to open the visitation logs. Gargiulo doesn't appear to understand. He thinks that these logs were already turned over many times already. I believe he asks if it's all the same stuff. DDA Akemon explains that it's additional visitor records. New logs. Once that's explained, Gargiulo agrees that the prosecutor can open the subpoenaed records. They will be copied and given to the defendant. DDA Akemon also tells the court, "Mr. Gargiulo has subpoenaed other records I'm not privy to." Akemon doesn't know what they are and doesn't know if he as grounds to object. "Without knowing what's there, I have an objection to [Gargiulo] opening. Akemon requests that the court view the documents in camera. I believe Gargiulo is asked, or Akemon offers to the court that there are two SDT's. One is for the LA County Sheriff, and the other is for the City of Monterey Park. I believe Gargiulo offers, "It's for impeachment evidence." Apparently, no one has spoken with the legal departments of LA County Sheriff or the City of Monterey Park. Representatives of those entities would need to be here. DDA Akemon tells Judge Ohta, "We're objecting to Mr. Gargiulo opening and looking. ... A defense subpoena to any law enforcement agency, ... must go through a DA review." Judge Ohta doesn't agree with all of Akemon's argument. He agrees they have to go through the DA, but he's not sure he agrees with the entirety of Akemon's statement. Judge Ohta needs to get started with his trial. He has a jury coming in. He suggests they put this matter over to another day where they can spend all day on the issue. Filipiak wants to make it clear to the court that the only subpoena's that are being withdrawn are the ones to El Monte PD. All that needs to be decided is a date to return to argue about the other subpoenas. February 21st is the date chosen to return to take up the matter of the SDT's. And that's it. Right before Judge Ohta leaves the bench, he tells Gargiulo, "I've signed your medical order." Gargiulo replies, "Thank you, your honor. ... (May?) you have a good day." After Gargiulo is taken back to the holding area, I ask my friend what she thought of Gargiulo. She was surprised at how engaged he was in the court process, but that's understandable since he is representing himself. She was surprised by how he looked, and that he didn't look like his photo in news articles.